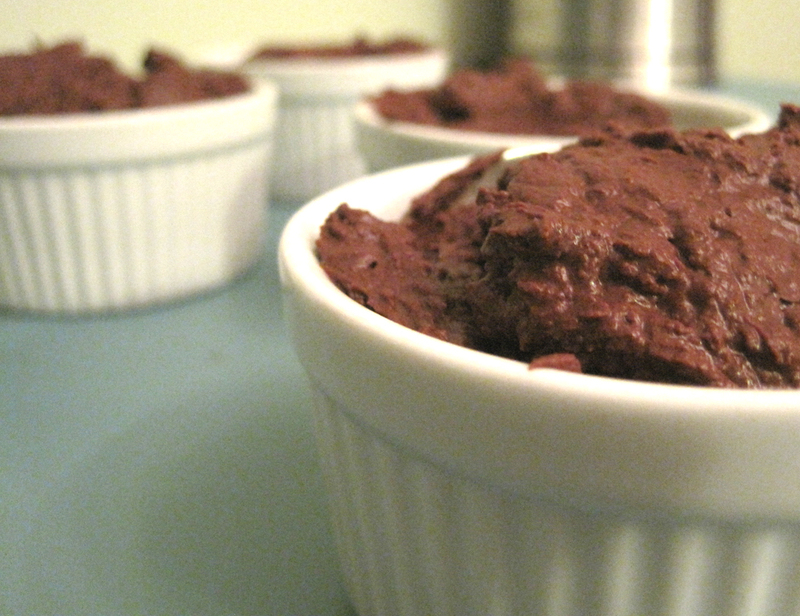 Since we last had chocolate mousse, I’ve wondered how easy it might be to make. When I saw this amazing recipe floating around in multiple places online last week I needed to try it. Immediately. I had 10 minutes free to devote to whipping and all I really needed in addition was some chocolate so Regan kindly brought home four Endangered Species All-Natural Supreme Dark Chocolate bars so we could have a fancy mid-week dessert. French chemist Hervé This, whose focus is on molecular gastronomy, determined the science behind this delicious dessert. Had I better understood the connection between food and science fifteen years ago I might have been a better student. The fact that this recipe uses only water, chocolate and sugar (optional) to create a creamy mousse kind of blew me away. My only experience with water and chocolate in the past has been frustrating — trying to make smooth, creamy melted chocolate only to accidentally drip water in the bowl and cause my chocolate to seize, becoming grainy, ugly and clumpy. I still have a ways to go in perfecting the smooth finish of the mousse for the benefit of pictures. However, the taste and finish is already perfect. It’s smooth, creamy and as satiating as any meal in its richness. My suggestion, though: Pair with berries. Delicious! I have it on my list to try making mousse. However, I don’t believe it would turn out as good as yours. I always seem to screw up things in the kitchen! I know it would turn out as good as mine. Promise. I have faith in your ability to whip it! Whoaa…just blew my mind!! I love how amazing cooking is and how much chemistry it involves, and can’t believe that I got straight C’s in chem in high school!